Queen Elizabeth II spent her 91st birthday at the Newbury Racecourse in the UK on Friday. She was dressed to the nines in a smart pink skirt and jacket as she mingled with jockeys and appeared to be enjoying herself while checking out the Dubai duty free Spring trials. Elizabeth is a longtime lover of horses and has even been spotted riding her own around the English countryside. 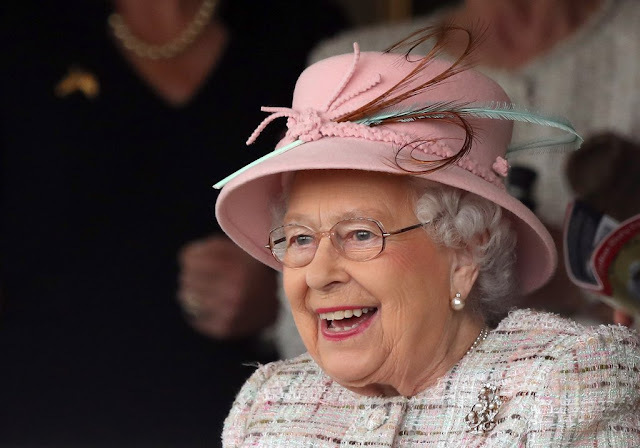 The queen's actual birthday — April 21 — is usually pretty low-key compared to the pomp and circumstance of her other birthday celebration, the annual Trooping the Colour, which happens in June. Last year, when she marked her milestone 90th birthday, Elizabeth was alsohonored with a horse parade by her family and fans in London.